My grandfather was a carpenter. He was short, but his hands were big and strong. His back and shoulders were equally strong. I watched him pick up large objects over and over again. Sadly, he passed away years ago, but the images of his strength will always be with me. His strength wasn’t the only thing I remember though. He was self-sacrificing, loving, and good natured. My grandfather wasn’t the only carpenter I’ve known; there are others and almost all of them have an amazing amount of strength and an eye for detail. Like my grandfather, they also have strength of character. Maybe there’s something in carpenters’ blood that causes them to be this way. Carpenters obviously have to be physically strong, but I’m not sure where the strength of character comes from. Maybe it has to do with the way they must carefully look across a board and make sure it is straight and without blemishes. Maybe it is because they must be precise and patient to build something properly. Maybe it is because they understand the importance of supporting a piece of lumber in order to build upon it. A good carpenter must understand structure. If those things about carpenters are true, then it should be no surprise why God entrusted his son to be raised by a carpenter. 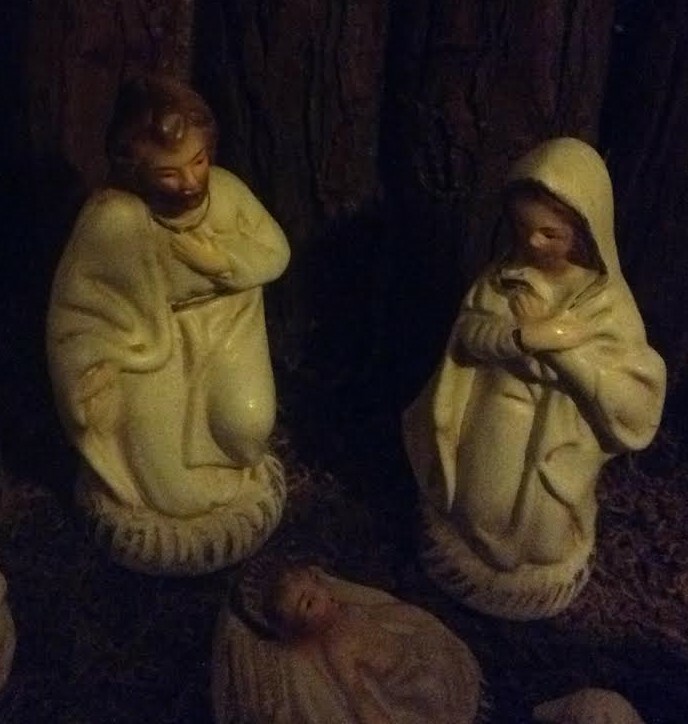 We often talk during the Christmas season about Mary, and rightfully so. Too often, though, we overlook the man who walked beside her. One reason we overlook Joseph is because we don’t really know that much about him. The last time Joseph is mentioned doing something in the Bible is in Luke 2:41-51. In this story, Jesus had left his parents side and they could not find him. They later caught up with him in the temple and Mary said to him, “Your father and I have been anxiously searching for you.” The Bible does not speak of Jesus’ life between this moment and the time he begins his ministry. Most Biblical scholars believe that Joseph died during this time. Since there is not a lot of extensive material on Joseph, we must look at his actions early on in the Nativity story to know him. Joseph is engaged to Mary when she informs him that she is pregnant. This is where we first get an idea to the kind of man Joseph is. It is Joseph’s right to publicly shame Mary, and it was even biblically permissible to have her put to death. But as Mathew 1:19 states, “Joseph her husband was faithful to the law, and yet, did not want to expose her to public disgrace, he had in mind to divorce her quietly.” Joseph chose to treat Mary with compassion instead of harshness. Here we see Joseph to be compassionate and kind. We also read in Matthew that on 3 separate occasions, an Angel appeared to Joseph to relay a message. The first was to inform him that what Mary said was true and that the baby was conceived by the Holy Spirit (Mathew 1:20-24). The second was to tell Joseph to flee Jerusalem to escape from Herod (Mathew 2:13), and the third was to inform Joseph that it is safe to return home (Mathew 2:19). The Bible is filled with people that heard God’s message, but refused to obey and did their own thing. Joseph listened and acted in accordance. Joseph accompanied his pregnant wife, who was carrying a son that was not his own, on a long and difficult journey to Bethlehem. Any man that has cared for a pregnant wife can only imagine how challenging this must have been. He followed through. He easily could have ditched her in Nazareth and let her come to the scrutiny of the people, but he took her with him. He stood side by side with her and helped welcome the birth of a child that he would raise as his own, even thought that wasn’t the case. The Bible refers to Joseph as Jesus’ father. We all talk about Jesus’ Heavenly Father, but his earthly father also has something to teach us. Like how to be a good husband and a good father – how to be the kind of man that God wants. Joseph shows himself to be compassionate, loving, self-sacrificing, and caring, and he’s a man of action and conviction who listens to God. Just imagine what would happen if all of us fathers and husbands modeled these traits to our wives and children. Great theology Jason, I am pleased and a bit surprised. This is a side of you I have never seen. Well written and full of thought. In other words, it’s good. And you’re right about all that you say in this article. Your grand father was a good and kind man who never stopped working. To truly show the kind of worker he was was the fact that he always signed his own name to whatever he made. He was a throw back to the old master carpenters who always took pride in their work and were not afraid to show it to the world. Sadly that is not evident in the world’s workplace today. I understand why Joseph had to diminish in the religious and historical record so that the focus could be on Jesus’s Heavenly Father, but when thinking about it we should recognize that indeed Joseph must have been one of the most extraordinary men who ever lived. It’s gratifying to me to see you are emulating him. Really enjoyable article. One rarely sees the scene from Joseph’s side. Very well written – I enjoyed your article. Your reference to your grandfather was touching, he would be so proud of you today. You are absolutely right about Joseph his obedience to God and his love for Mary truly made him an extraordinary man. I appreciate the moral of the story you are telling. But the logic of the situation is hard to grasp. A woman becomes pregnant before marriage, possibly by someone other than her future husband. In order to avoid social stigma she claims it was magic(miracle). Her husband who loves her even though she was unfaithful/ not wanting their premarital indiscretion to harm her goes along with the story and lies about hearing/seeing a vision similar to hers. Because he loves her. A god who is either omnicient, omnipotent, or omnipresent(can not be all of them) decided to split himself into another piece to be on earth. And he did this by choosing a random woman and impregnating her, without consulting her or her husband until after the fact. That this That this god during his life left no concrete evidences of his life, other than the most fallible of records: Text. Text which we have no original copies left to verify that we even know what was originally written. Text that was copied for hundreds of years by nearly illiterate townsfolk. Text based on stories. And stories have ways of growing larger and grander the more they are told. Stories based on memories. Memories that have been proven again and again to be the least reliable form of information retention. I love your sentiment, I just wish it were based on real happenings. A story of a husband who loves his wife even though she cheated on him. That his love overcame the hurt she caused, and he is willing to keep growing with her. Thank you for the comment. I appreciate your kind words and respectful tone. My aim in writing the post was to describe an honorable man. A type of man to aspire to be. Your thoughts are also describing an honorable man and I appreciate them. should there be many “st. Joseph” husband and Dad around, there will be less dysfunctional family and children around. Excellent food for thought.